Blockchain platform VeChain is collaborating with HBO, Adidas and world-renowned Singaporean shoe designer SBTG (short for Sabotage) to celebrate the premiere of the eighth and final season of the hit series Game of Thrones – slated to air on April 14. HBO Asia has assembled the team of partners to roll out four custom sneakers representing the Houses of Stark, Lannister and Targaryen, along with one special pair for the Night King. Mark Ong, aka Mr. 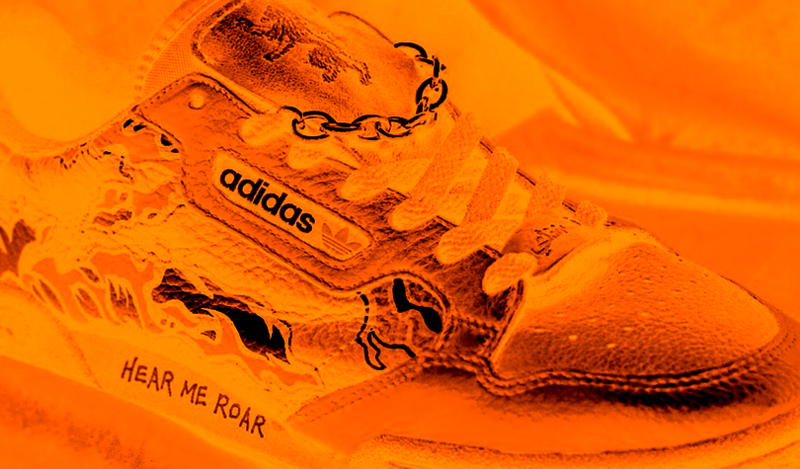 Sabotage, the star designer behind SBTG, has produced an artful take on the hit show, embedding his Adidas creations with near-field communication (NFC) chips powered by VeChain, the blockchain tech company that allows a customer to track the supply chain of a supported product, verifying its authenticity. The chips also contain behind-the-scenes videos of the design process, which can be viewed on VeChain’s mobile app. The blingy Game of Thrones x SBTG sneakers, styled with military designs and GoT quotes, have inspired their own HBO trailer. The shoes will be on display from April 17 – 30 at Singapore’s leading sneaker boutique, Limited Edt, located at the Marina Bay Sands hotel. Although they’re not up for sale, Click The City reports that lucky fans will have a chance to win a pair through April 25th. Earlier this year, Singaporean-based VeChain partnered with Chinese consumer electronics giant Haier and risk management company DNV GL to improve transparency in the supply chain.